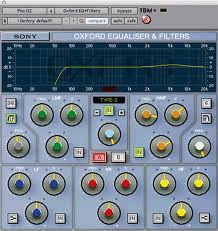 EQ is a crucial part of mixing. A general rule to always remember is when equalizing during mixing try to reduce unwanted frequencies more than you boost desired frequencies. When you boost too much it can be too much for your mix. In other words if you want more bass, cut some of the higher frequencies around the bass to make the bass stand out more. You will get a clearer mix by doing this. It takes some practice to get it right but it works. Here are some frequencies and how they can benefit your mix with increase or reduction. 50Hz: Increase to add more fullness to lowest frequency instruments like foot, toms, and the bass. Reduce to decrease the "boom" of the bass. 80Hz: Increase for a more booming bass for Hip-Hop and R&B. 100Hz: Increase to add a harder bass sound to lowest freq instruments. Reduce to remove boom on guitars & increase clarity. 200Hz: Increase to add fullness to vocals. Reduce to decrease gong sound of cymbals. 400Hz: Increase to add clarity to bass lines especially when speakers are at low volume. Reduce to decrease ambiance on cymbals. 800Hz: Increase for clarity and "punch" of bass. Reduce to remove "cheap" sound of guitars. 3KHz: Increase for more "pluck" of bass. Reduce to increase breathy, soft sound on background vocals. 5KHz: Increase for vocal presence. Reduce to soften "thin" guitar. 7KHz: Increase to add attack on low freq drums. Reduce to decrease "s" sound on singers. 10KHz: Increase to brighten vocals. Reduce to decrease "s" sound on singers. 15khz: Increase to make sampled synth sound more real. Practice makes perfect so experiment!